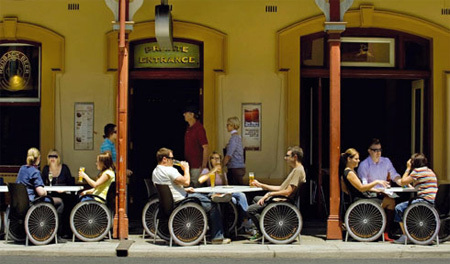 To raise awareness about the negative consequences of drinking and driving, Paraquad, the paraplegic and quadriplegic association of South Australia, added wheels to regular chairs in bars to make them look like wheelchairs. yeah it is so increadiable guerrilla marketing men. cool. As a wheelchair user im a little insulted that the “normals” would consider that life in a wheelchair is their biggest fear. 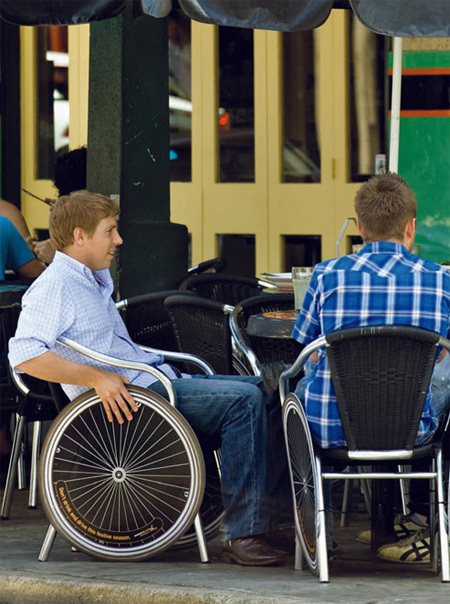 Life goes on , wheelchair user or not. Id suggest the physical effect would be better. Erectile dysfunction, after a spinal injury,would frighten more men,I think .